Mangaluru, Feb 22, 2016: In a case of alleged medical negligence, a woman has lost her life after delivery. 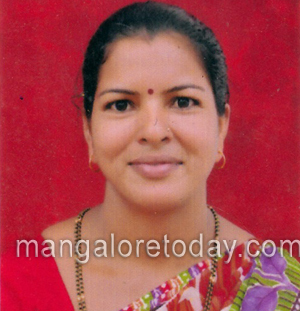 The deceased woman is Geetha (28), wife of Sunil Gatti, a resident of Vagga in Bantwal. Geetha was admitted to the Somayaji Hospital two days ago after she developed labour pains. It is learnt, she was shifted to the labour ward on Saturday after which her family was reportedly kept in the dark about the health condition. Finally, when the family members were let in, Geetha was found profusely bleeding. The hospital staff who said the patient needed blood, later asked the family to shift her to a hospital in Mangaluru. Though Geetha was shifted to the Lady Goschen Hospital and from there to Wenlock Hospital, her life could not be saved. Geetha is survived by her husband and three daughters. The doctor cannot behave so careless and ply up in anybody’s life. The three children are left motherless. Fight against the hospital and shut it down.Not a single patient in future should face this problem. A tragic incident due to the carelessness of the hospital cost life of woman.The family of the deceased have to file a case against the hospital and the doctor to avoid such in furture. Medical negligence cost life of a woman.